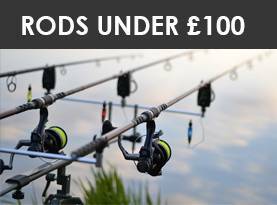 A lot of terminal tackle is used in carp fishing, which you’ll find around the website – the majority used in carp rigs. 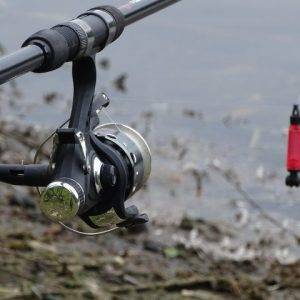 Let’s briefly run through some of the most popular carp tackle and explain what it’s used for! 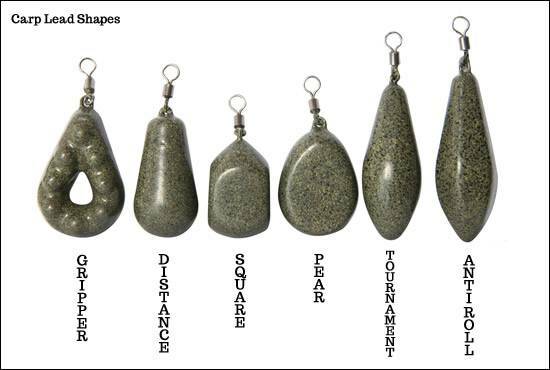 Carp leads come in all shapes and sizes and are used to cast out your rig further then sending your rig plummeting to the bottom of the lake. The weight of a lead is leveraged to assist with ‘setting the hook’ when a carp picks up your bait. 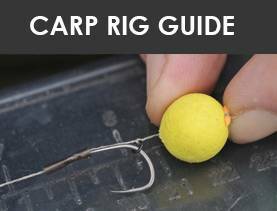 Once it feels the hook, it will turn and bolt – and hopefully you’re rig is setup correctly that the hook is set and will hold well in the mouth of a carp. 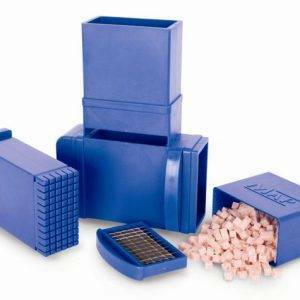 Sizes range from 2oz to 5oz, and the shapes and colours that are available help serve varying purposes. 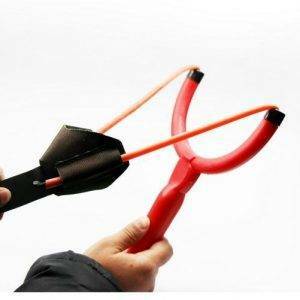 Without a hook on the end your line, you may as well not fish at all! 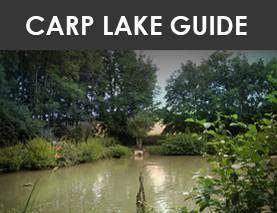 We won’t go into great detail here, because we’ve actually created an in-depth guide to hook sizes, patterns and how keeping your hooks nice and sharp is important over at our ‘Carp Rigs for Beginners’ section. 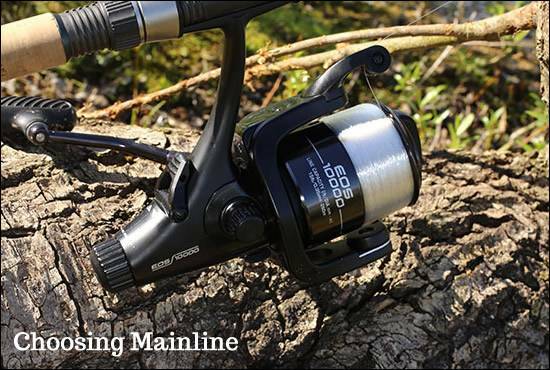 Each type of mainline will have different abrasion strengths, sinkability (how fast/slow), breaking strength and colour. Just because a mainline seems cheap – this doesn’t necessarily mean it’s rubbish! 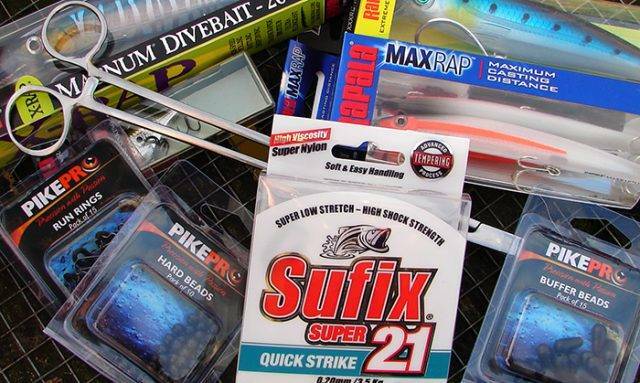 Your choice is a real personal preference, although monofilament would be a safe bet for most carp fishing. Mainline that has a 15lb breaking strength with a thickness of around 0.40 mm should suffice if we had to suggest agood starting point. 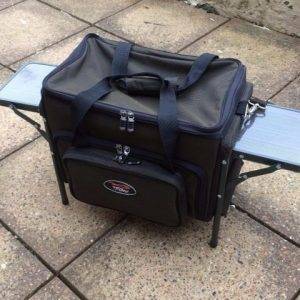 The guys at tacklebox.co.uk have carried out various ‘breaking strength’ tests on all the popular mainlines, and you can compare between the advertised line strengths/diameters and the REAL figures! As far as sinkability goes, fluorocarbon sinks like a brick, braided line varies a lot (depending on what density etc. you choose) and monofilament sinks just about! A simple way to think about this is dirty line sinks poorly, clean line sinks well. Keep your line clean by casting out, and then wiping it through a damp cloth as you reel in. The three main hooklengths you can use are monafilament, braid (and coated braid) or flourocarbon. 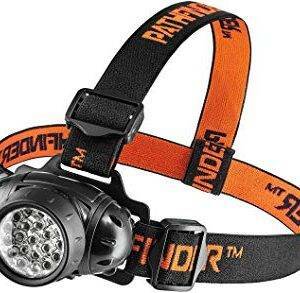 Each has very different properties suited to varying conditions. 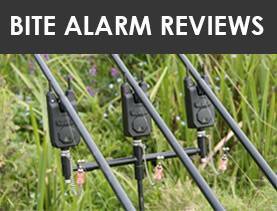 You can read more about these at ‘Carp Rigs for Beginners’ which explains why and where you should utilise them. 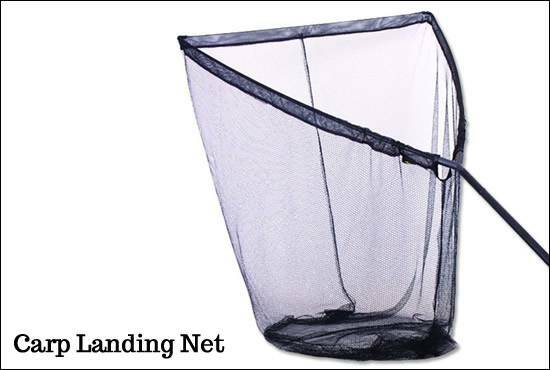 Used to retrieve carp from the lake, you should ensure the handle and net are both long and big enough. 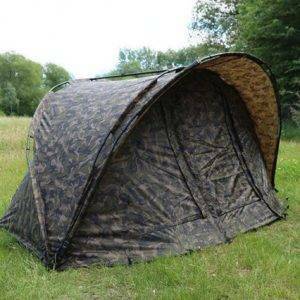 You’ll need to make sure your landing net isn’t flimsy either – you could lose, or even worse, damage the carp which wouldn’t be good. 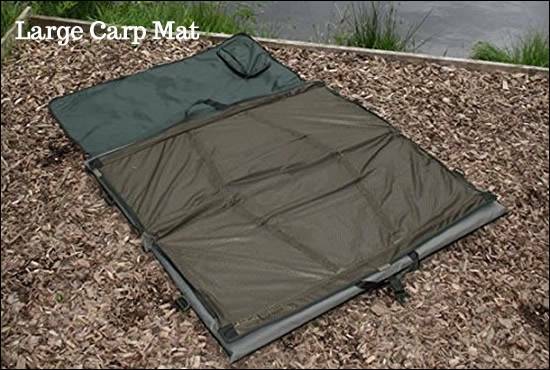 Read below for why using a carp mat or cradle is vital for keeping the carp calm, whilst minimises any dangers to the carp. 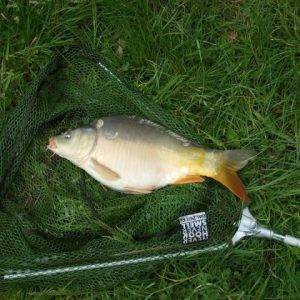 Once you’ve landed a carp, you will want to release the hook, check the carp over for any damage, and maybe take a photo! 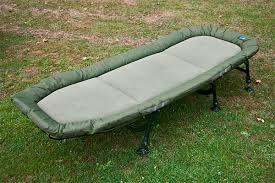 To do this, you want to keep the fish calm and stress free, which is where a carp mat or cradle comes in. 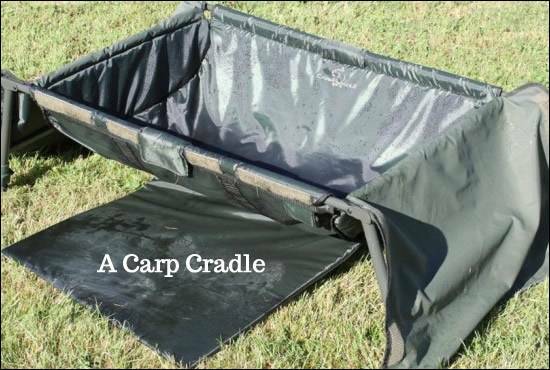 A mat is fine, but a cradle is probably better because (with a bucket of lake water to hand) it will retain much more water with the fish unable to move as freely as it would on a mat. 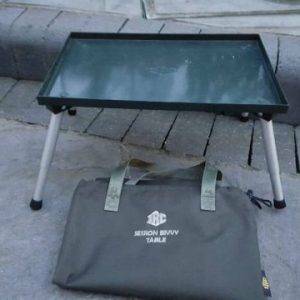 You can buy cradles that are raised of the ground which makes it easier for you to lift, and take a quick photo of the carp, quickly and efficiently. 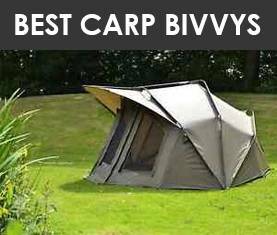 If you don’t use a suitably sized mat or cradle, the carp could sustain a lot of damage if you’re not careful. 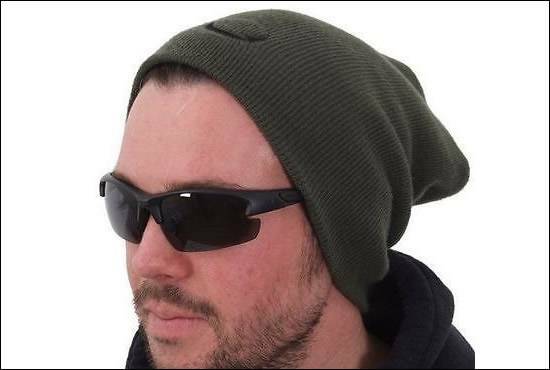 Owning a pair of polarised shades is vital for spotting carp! Not only do they block out sunlight, but they allow you to see under the water more clearly due to the reduction of surface glare that natural light provides. If you’re relaxing in your chair, polarised sunglasses also help to see a float or the tip of your rod when the sun is directly shining in your swim. There are a huge amount of options to choose from regarding the style, colour and tints. The type of clothing your wear on the bank actually matters! Whatever you choose, make sure it will keep you warm, comfortable – and that the colours blend in to your surroundings. Carp that patrol close in may spook if you’re wearing brightly coloured clobber! 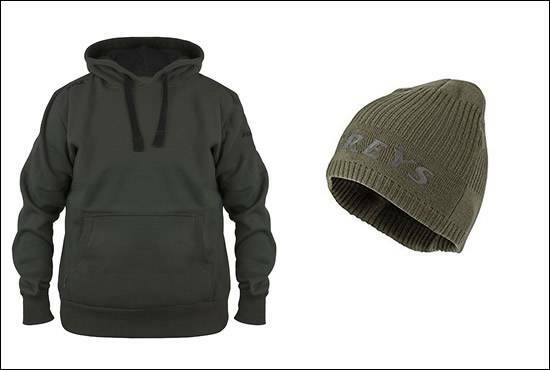 All the major brands have their own clothing ranges, from beanies to hoodies, t-shirts and jackets.